So you have now crafted a perfect song and you would like to submit that to your favorite artist? How would you supposed to do that? This tutorial will highlight all the most important things you need to do. Check item #1: Do you have hits? The truth is, submitting songs to an artist is like shooting a bow and arrow aiming a very far target. You are going to have a lot of misses and a few hits along the way. 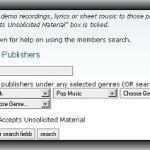 You can increase the chances of success by submitting only the very best songs in your catalog. These are your hits. Check item#2: Do you have a clear and professionally sounding demo? 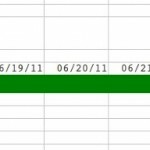 You need to produce a demo of your hit songs. This is the way how your song can be heard by the artist and their producers. The demo music production does not need to be super-expensive or fully produced. 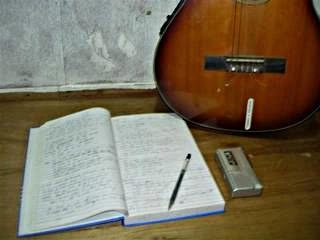 All it takes is a simple acoustic guitar demo (vocals and an acoustic guitar) and it’s done. If you cannot sing, better find some singers with “highly similar” voice quality with your targeted artists. In this way, the artist can “easily” relate the song and increases the chances of having your song included in their future projects. a.) 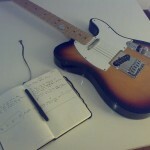 Recording a Demo CD for an Artist – if you want to do it in your own. b.) How to make your own “unplugged” acoustic recording at home? –if you have a studio mixer but don’t have an audio interface- very raw recording. Not recommended though if you are looking for a very polished demo. 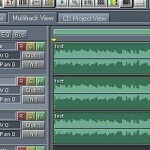 c.) How to Easily Convert your PC into a Recording Studio? -if you want to create a home studio for creating demo. The most important thing to remember is that you should be submitting a professionally sounding demo. Don’t submit demo to an artist which was created by your cassette recorder!